Circa 1848. 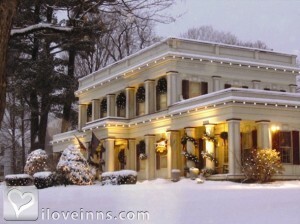 The Arlington Inn is one of Vermont's finest examples of Greek Revival architecture. 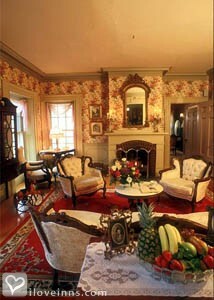 Guest rooms are thoughtfully decorated in a traditional style with period antiques suiting the elegance of the inn. Gamaliel's room offers a four-poster canopy bed, fireplace and large bath, while Sylvester's Study features a handsome fireplace, sitting area, maple ceiling and a private porch. Suites with a two-person Jacuzzi and fireplace are very popular. Breakfast is served in the solarium with green lawn and flower gardens stretching out before you. 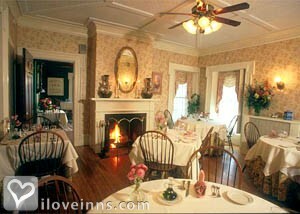 In the evening, candlelight dinners are available in the inn's fine dining room. Norman Rockwell once used the carriage house as a studio. Nearby activities include fishing, canoeing, downhill and cross-country skiing, snow shoeing and hiking. 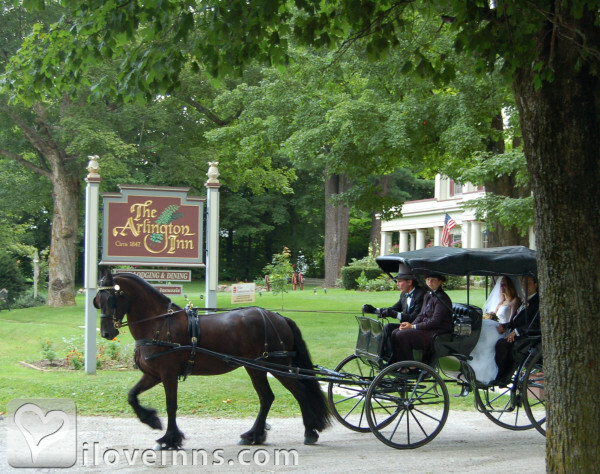 Ask about the Inn's packages; some include a delightful champagne picnic.Publicity and Awards: San Diego Times, Bon Appetit, Country Inns, Vermont Life, Gourmet, New York Magazine, Yankee Travel Guide.Location: Country and Village. Spacious Suite, sitting area with fireplace, King bed, Queen sofa sleeper, marble bath with two-person Jacuzzi & fireplace. Wireless Internet access. King bed, double-sided see-through gas fireplace, two-person Jacuzzi, walk-in shower, private entrance overlooking the gardens. Wireless Internet access. Large Suite, King bed, sitting area, beautiful mantle with gas fireplace, single Jacuzzi. Wireless Internet access. King bed, double-sided fireplace, large luxury bath with two-person Jacuzzi with warm air hydro massage system and walk-in shower. Rooms: This property has 17 total guest accommodations with private bath, 13 with fireplaces, 6 with whirlpools, 5 suites and 2 conference rooms. Meals Included in Rates: Breakfast, Snacks/Refreshments and Full cooked-to-order breakfast each morning. Types of meals: Early Coffee/Tea, Full Breakfast, Picnic Lunches, Gourmet Dinner, Snacks/Refreshments, Banquet Service, Restaurant on Premises, Wine and Sunday Brunch available on Easter & Mother's Day. Amenities In Room: Air Conditioning, Modem Hook-Up, Cable TV, Reading Lamps, Ceiling Fans, Clock Radio, Telephone, Television, Data Ports, Desk, Hot Tub/Spa/Jaccuzi, Fireplace, DVD, Bathrobes, Bath Amenities, Wireless Internet Access, Hair Dryers and Irons/Ironing Boards are available in room upon request. 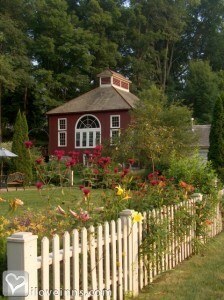 Amenities On Site: Parlor Games, Computers, PC, Copy Machine, Phone, Fax, Fireplace, Limited Handicap Access, Television, VCR, Gift Shop, DVD, Wireless Internet access and Large gardens with gazebo. Business Traveler Amenities: Desk, Television, Modem Connection, Internet Access, Wireless Internet Access, FAX On-site, Gym Nearby and Flexible Check in/out Times. Events Hosted: Seminars, Meetings, Weddings, Romantic Getaways, Rehearsal Dinners and Civil Unions. Other Activities: Antiquing, Art Galleries, Bicycling, Canoeing/Kayaking, Fishing, Golf, Hiking, Horseback Riding, Live Theater, Museums, Parks, Shopping (Local Crafts), Skiing Cross Country, Skiing Downhill, Sports Events, Major College, Tennis, Water Sports, Wineries, Sleigh & Carriage rides, Ice Skating, Snowmobiling, Concerts, Bird Watching and Garden tours. Historic Awards: National Register (Granted), State Register (Granted), Local Register (Granted), National Historical Site (Granted) and State Historical Site (Granted). 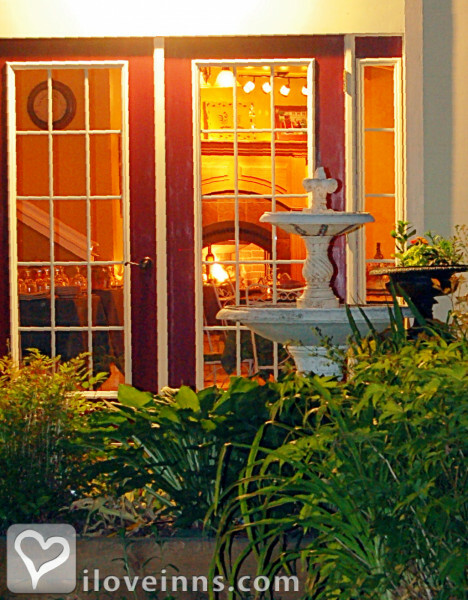 Canopy beds, fireplaces, Jacuzzis, candlelight dinners.